Sri Lanka is currently stuck in a position while being unable to compete against countries with lower labor costs or labor productivity. If to emerge from this trap, Sri Lanka has to go for reforms immediately, warns an economic academic. 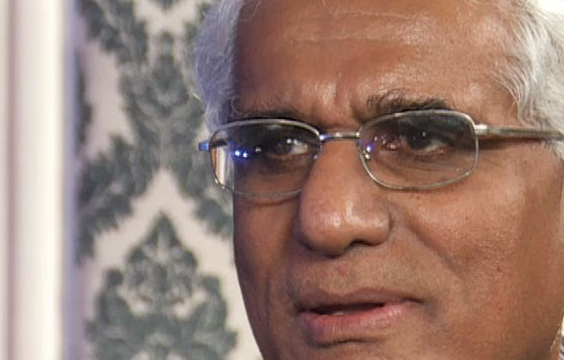 Dr. Indrajit Coomaraswamy points out that Sri Lanka is unable to compete with countries like Bangladesh with lower labour costs since the island’s labour costs are higher. Furthermore, since Sri Lanka is trapped by being unable to compete with countries like Thailand where labour productivity is higher, it has to immediately go in for wide reforms in its labour force to increase productivity, adds Dr. Coomaraswamy. Dr. Indrajit Coomaraswamy identified the government’s foreign loan funded infrastructure development projects and the utilization of neglected capacities as significant reasons for Sri Lanka’s development growth after the end of the war. Though the lower foreign borrowing countries like China and Vietnam follow a policy of economic growth through state investments, it is difficult for Sri Lanka to widen its state investments any further through foreign loans since the island’s foreign borrowings are nearly 75 per cent compared to its GDP. Similarly, the neglected capacities have been utilized to their maximum by now, points out economic academic Dr. Indrajit Coomaraswamy. Under such a situation, Sri Lanka should plan its future economic growth through a policy of promoting increased private sector centric exports and attracting more direct foreign investments, says Dr. Coomaraswamy. Hence, Sri Lanka’s policy planners should immediately introduce economic reforms which could promote exports and attract more direct foreign investments, he added. Attracting direct foreign investments towards a 10 per cent economic growth is something feasible and productivity should be enhanced in ways to expose the creativity of Sri Lanka’s labour force, Dr. Coomaraswamy added further. Sri Lanka’s macro-economic stability has been weakened due to the unbearable relief packages provided through the recent interim budget and hence it is vital that Sri Lanka reconsiders whether it is treading on the right path, said Dr. Coomaraswamy. It is not so easy to find the funds for the relief measures provided through the interim budget and this would force the increasing of taxes and interest rates, control expenditure or to some similar mixed decisions, he pointed out.